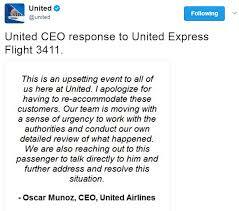 United Airlines CEO Oscar Munoz should have offered an unequivocal apology to David Dao, the passenger who was dragged from his seat on an overbooked flight this week. Instead, Munoz (or his exec team) issued a statement so full of corporatese, it made a bad situation even worse. Munoz has since described the incident as “horrific” and offered his “deepest apologies”. But you only get one chance to apologise, and his first attempt missed the mark by a mile. And here’s our analysis, from the first sorry line to the last. You poor things. You’re the real victims here. If you’re going to apologise, do it in the first sentence. By focusing on the company, not the customer, Munoz shows what his priority is. Ah, there it is. Shame this ‘apology’ is straight out of the corporate playbook. First of all, Munoz uses the word “apologize”, which sounds formal and distant. When we’re genuinely sorry, we use the word… sorry. Then there’s “having to”, a passive phrase that avoids all responsibility and lacks any ownership. They had to. It’s not their policy or anything. Someone made them do it. Which is strange, because if they had to do it, why are they even apologising? Then comes a classic example of a company making up a formal-sounding word to neutralise something nasty. That word is “re-accommodate”. If we didn’t know better, “re-accommodate” might suggest that Mr Dao was going to be put up in a hotel, not violently pulled out of his seat. I hope I’m not ‘re-accommodated’ any time soon. Really? Just a sense? It just took you six words to get from “team” to “urgency”. How quickly is your team moving, exactly? Quicker than your sentences, we hope. 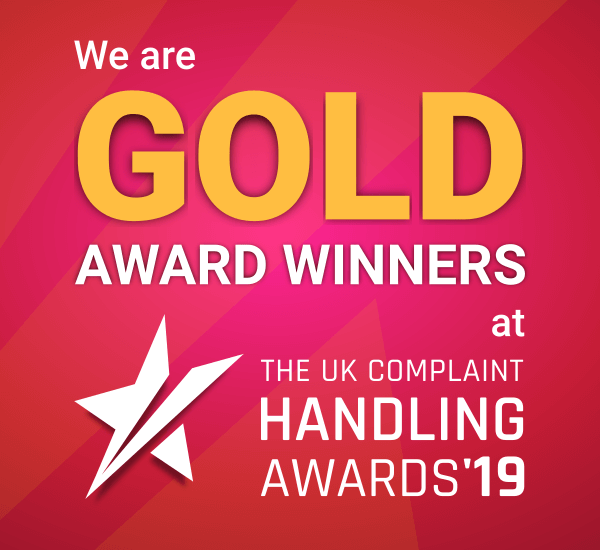 So what you’re saying is: despite footage that clearly shows a passenger being forcibly removed from our plane, we’re still not sure what happened here, so we’re not going to say sorry properly until we have all the facts according to ‘our own’ investigation. Basically we’re buying ourselves time, trying to avoid liability and hoping this all blows over. “Reaching out” is one of the most hated phrases in business because of its greasy insincerity. So why does Munoz think it will help him express any genuine emotion here? It even implies he’s offering an olive branch, as if the customer is in the wrong and the company can take the moral high ground. Then there’s “this passenger” (note the disparaging “this”). If Munoz is trying to add the personal touch, why not use the customer’s name? And why not ‘I’m reaching out’? Is this incident not important enough to warrant your personal involvement, Mr Munoz? There are too many actions in this sentence for it to be believable. Each verb cancels the other out. You wouldn’t talk to David Dao without addressing the situation. And you wouldn’t address it without trying to resolve it. Stacking up weak verbs like this is a sign of confusion and a lack of confidence. Ultimately, it’s a desperate-sounding end to a clunky, corporate, unempathetic message that shows why all CEOs need to learn how to write a sincere apology.